PDI Check – Coming Soon! 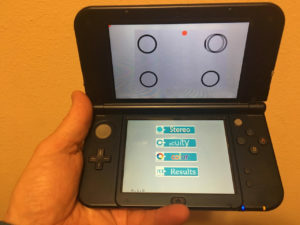 PDI Check is an interactive multiple-choice game utilizing the unique color, 3-dimensional screen on the Nintendo 3DS system to quickly and accurately measure monocular near visual acuity, color vision and stereopsis. Would you like updates on PDI Check?